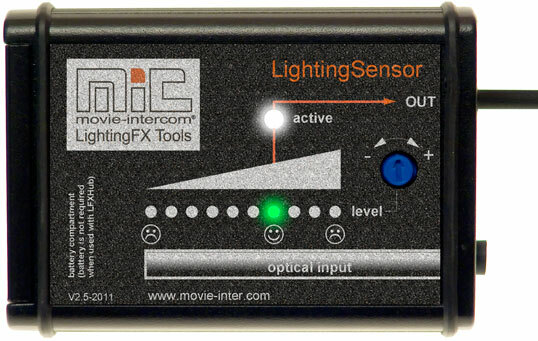 The optical LightingSensor can trigger any preset/effect producible with the LFXHub. 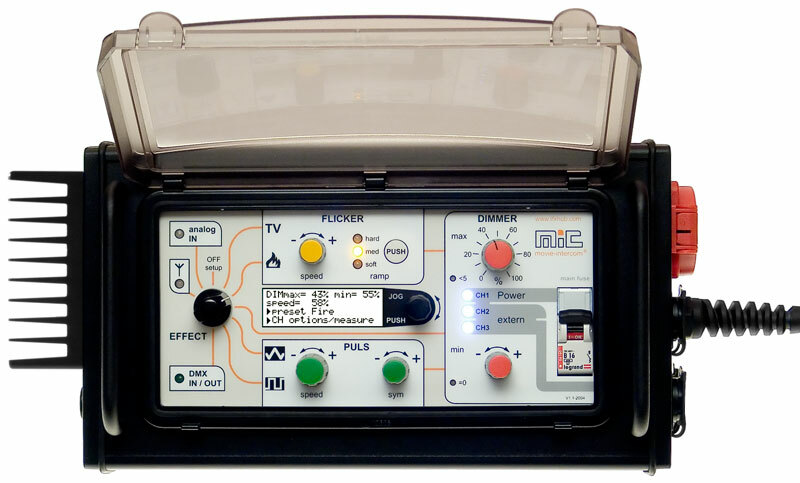 Automatically synchronize film lighting with a switched practical or a blown off candle flame. … with film lighting connected at LFXHub. 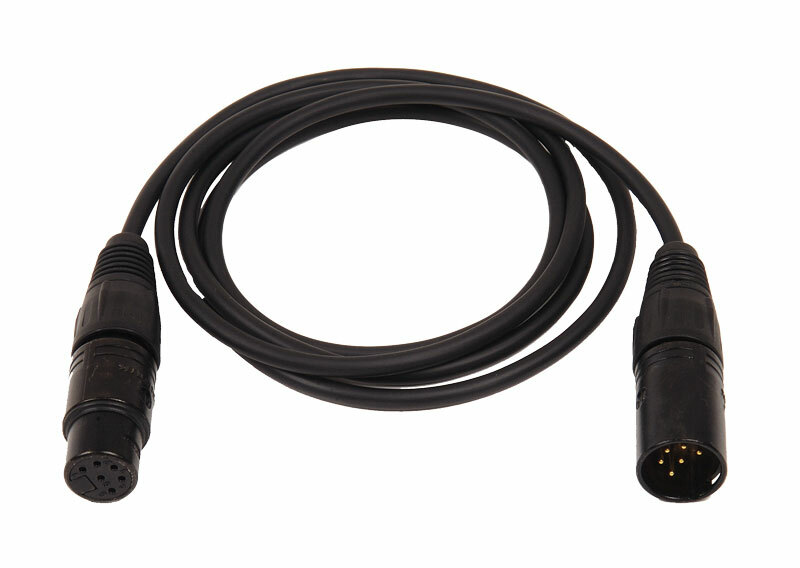 The LightingSensor is automatically identified when plugged into the control input of the LFXHub. 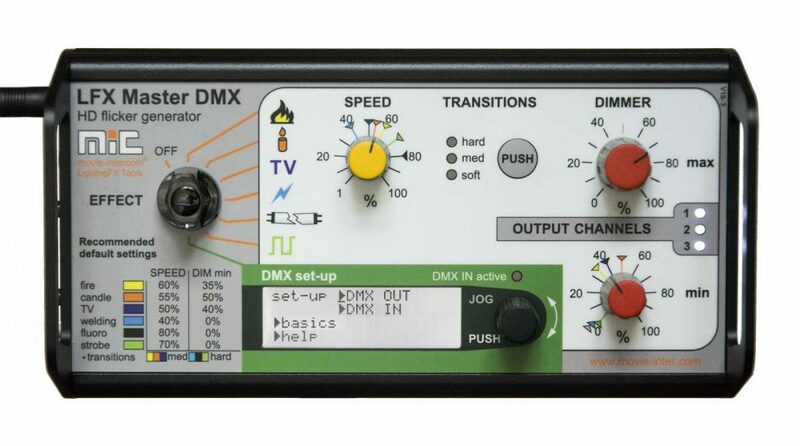 All lamps connected at the internal dimmer pack of the LFXHub and/or hooked up by DMX are controlled. Any effect producible with the LFXHug can be (de-)activated. A ceiling lamp is turned on by the actress´ actuation with the original switch on the wall. 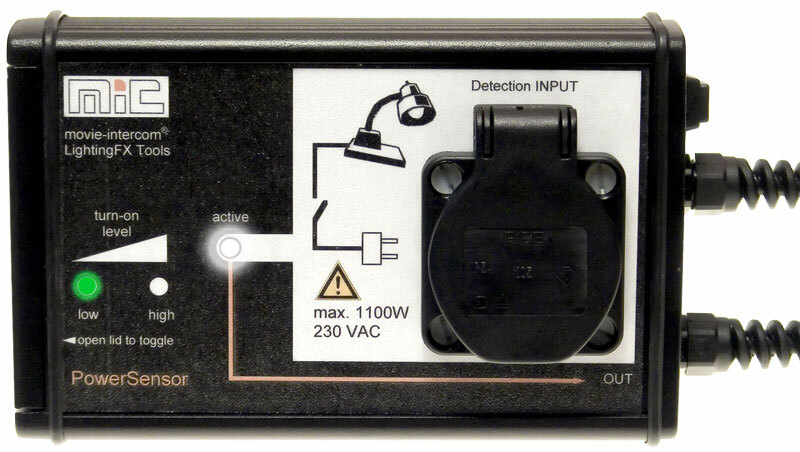 The LightingSensor detects the change in brightness of the original ceiling lamp and so triggers film lighting connected at the LFXHub directly or via DMX with the function “dimmer”. The LightingSensor picks up the effect of a flickering ” broken” tube by optical detection. The tube is in frame. All connected tungsten or LED lamps hooked up at the LFXHub will copy this flicker effect send from the LightingSensor. Actress Isabelle Huppert turns on and off a lighter in a barn at night – while walking around. The effect is synced with a china ball, following her hold by an electrician. Electricians used a DV-camera (nightshot mode) with attached LightingSensor for manual bearing to the actress´ lighter. 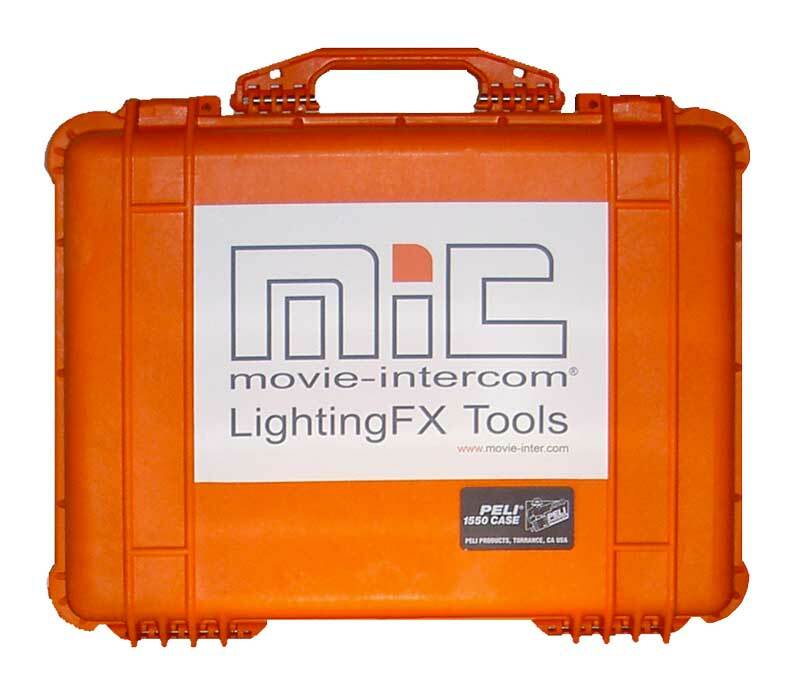 This (de-) activated the “candle” preset of the LFXHub – actress controlled lighting. Please do not worry about the black screen in the scene at the beginning. Image comes back to life at 23rd second. Details of this feature film “Time of the Wolfe” (France/Germany 2003), 1:2,35, 35 mm on imdb.